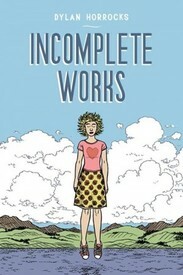 Incomplete Works provides, indirectly, an intimate, informative, entertaining portrait of the artist as a young cartoonist – who goes on to age gracefully and productively – with a large degree of creative independence – into marriage, fatherhood and middle-age (which is no small feat). It does so while simultaneously fulfilling its primary function of being a treasure trove of short comics of all stripes. Auto-bio, fantasy, literary, historical, humorous, scientific, and meta-physical comics can each be found here, all handled by Horrocks with dextrous aplomb. That he has been able to accomplish all this may have something to due with his being a New Zealander, but we're not sure... This well-produced 192 page collection was, in any event, published by Victoria University Press, located in Wellington, New Zealand's capital (Horrocks resides in Auckland, New Zealand's major metropolis). 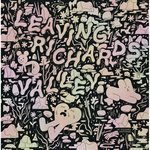 VUP is also Horrock's New Zealand publisher of his two major works, Hicksville (published in North America by Drawn & Quarterly) and Sam Zabel and the Magic Pen (forthcoming in North America, from Fantagraphics). To the best of our knowledge, there are no plans to publish Incomplete Works in North America, but we were able to track down copies from a distributor who imported them. And we're glad we did! This excellent collection provides an excellent look at a quarter-century long (and counting!) career that takes a look at available career (and life) paths, approaches to to the medium, technical as well as stylistic and philosophical. This feat is accomplished in part by the volume's well thought out, largely chronological, organization in combination with its providing concise, informative end notes, which serve to contextualize the contents. RECOMMENDED! PLEASE NOTE: We are now offering (and at an intro SPECIAL PRICE, no less) the North American edition from Alternative Comics. It is identical to the original.